There’s no way Halo 4 should have been as brilliant as it is. Reopening a series that closed quite nicely, farmed out to a brand new studio for the fifth instalment in seven years. Just goes to show that throwing immense amounts of money at a project and setting technical geniuses on performing miracles with ageing hardware can do big things for what could have ended up being a fairly safe sequel. I was frankly blown away by how good this game was. Putting aside how ridiculous it looks, it was an outstanding debut for 343 Industries, clearly showing where every penny of those huge production values went. Credit, too, for the story, which I, as a huge fan of the series’ wider fiction – I’ve read ten novels so far – found fascinating. Jen Taylor made it thanks to some touching moments as Cortana, managing to add pathos to a tale about the relationship between a super soldier and a computer. Quite an achievement. And the multiplayer is arguably the best the series has seen since Halo 2. I just with the BTB players would pick something other than Ragnarok. 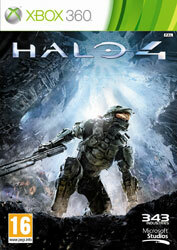 Honestly, Halo 5 is probably the number one reason why I’ll be buying the next Xbox. 343 undoubtedly built this engine with the upcoming generation in mind, and if this is a hint at what we have to look forward to, I can’t wait.